The summit ‘Of Broadcasters and Game Masters’ organised by Eyes & Ears of Europe at the conference ‘Clash of Realities’ aims to explore the exciting junctures and synchronicities of television and digital games by presenting and discussing cutting-edge projects and promising experiments. Experts and audience members alike will have the opportunity to critically assess the current state of this field as well as discuss its myriad of potentialities. "eSports is a global mass phenomenon. We use the potential of SPORT1 as leading 360°-Multimedia sports platform in Germany and offer this booming sport a real home - whether on TV, online, mobile, radio or social media. With Primetime Live Streaming on Free TV we create an attractive, high-reach sports environment for the sport itself and also for the growing number of fans and advertisers." Marcus Meyer has been Head of Business & Advertising Innovations at Sport1 Media GmbH, based in Ismaning near Munich since September 2016. In October 2015, he worked as Head of Business Innovations Digital Products for Sport1 GmbH. Germany's leading 360°-Multimedia sports platform SPORT1 and SPORT1 MEDIA both belong to the Constantin Media Group. 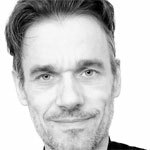 In addition to his work at SPORT1 MEDIA Marcus Meyer is also a lecturer at the BAW - Bavarian Academy for Advertising and Marketing, the German School for Journalism (DJS) and the Campus M21. Previously, the 39-year-old was Managing Partner at contentkueche GmbH from 2011 to 2015 and Author and Director at mm productions from 2008 to 2015. From 2014 to 2015 he also worked as managing director at ThreeDee GmbH and from 2010 to 2014 in the management of rate-my-place.com. From 2007 to 2008 Marcus Meyer was an editor at the Welt der Wunder GmbH. His professional career started in 2002 at ProSieben, where he worked in the editorial department for the formats "SAM" and "taff" until 2007. "Prolonging TV 2.0? "- TV in 2016 - this is the programme in the era of diversification. Many viewers with many interests on many platforms. And how do programme makers deal with it? This event is about the innovative approaches, classical craft or even the question of whether one necessarily has to address each audience with each programme. What approaches make sense? Which technologies restrict? What is successful? And what innovations do we need to jump onto, hoping to make many viewers aware of the programme? Is "Content King" - or is it the well-known "stick of dynamite, who just kills many fish"? Are we successful with targeted campaigns - or is it the wide aligned mass campaign that makes no difference in the approach?" Marc Lepetit has worked as executive producer in the UFA group since 2003. After studying at the Film Academy Baden-Württemberg - where he was the first graduate in the field Serienproducing under former lecturer Markus Brunnemann - he began, after a stay with Sony Pictures and DreamWorks in the United States, his work at Phoenix Film in Berlin and supervised shows like "Meine schönsten Jahre" and "Der König von Kreuzberg". With the movie "Teufelskicker" he was involved as a producer in the first project of the newly founded UFA Cinema. In addition to these traditional content developments it was he who promoted the new media in the UFA group further. With "Kill your darling" Phoenix and him developed the first large transmedia project in Germany in 2009. In addition to his work as executive producer Marc Lepetit is lecturer at the Zurich University of the Arts where he supervises graduating classes in "Transmedia Storytelling". Since 2012 SRF apply Augmented Reality in various SRF TV Programmes.Visual ways of telling the story with virtual graphics in studio productions. 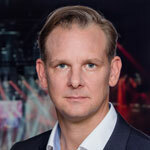 Christian Nienaber has been Head of Digital at RTL II since 2014. 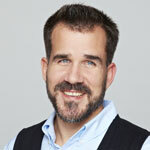 Previously, he was a senior manager at Mediengruppe RTL Deutschland for more than ten years, most recently as Vice President Video on Demand & Video Production at RTL interactive GmbH. Here, he was responsible for the conception and operation of the digital broadcasting services for the TV stations RTL, RTL NITRO, SUPER RTL, n-tv and VOX. Previously, Nienaber was project manager Business Development and RTL Creation project manager for the marketing campaigns of RTL. At RTL II, he is responsible for the strategic orientation and operational implementation of the digital activities of the media company. The scene is virtual, the crime is real. Halcyon is a procedural detective show that unfolds across multiple planes of reality. With episodes alternating between broadcast, the web, and virtual reality, Halcyon is Law & Order meets Black Mirror. A story from a future that seems closer to reality every day. Elmar Krick has worked for NBCUNIVERSAL INTERNATIONAL NETWORKS since 2005. As Brand Director he is responsible for the design of the On Air and marketing performances of all stations of NBCUNIVERSAL INTERNATIONAL NETWORKS in Germany. On national and international festivals and creative competitions he and his team have won numerous awards. Other important stations in his career were the Walt Disney Company (Germany), PLAZAMEDIA and the trade magazine KEYS, which he co-designed as deputy editor. Krick studied music at the Robert Schumann Hochschule in Dusseldorf and is Dipl.-Ing. (FH) for audio and video engineering.